Star Wars fans, get ready. 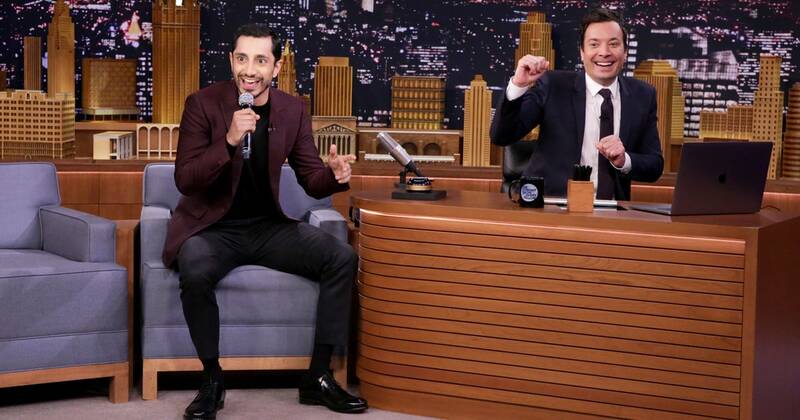 On The Tonight Show with Jimmy Fallon Rogue One star Riz Ahmed’s Star Wars rap made us fangirl out. Not only is Ahmed totally dreamy (we crushed on him during The Night Of, and we crushed hard), he’s also a talented rapper. We might just add the video the rotation of Rogue One trailers and clips we watch daily till the film’s release. Ahmed visited Fallon to promote the film, and his interview is hilarious. In the film he plays Bohdi Rook, a rebel with a dark past. He told the story of his audition, in which he sent director Gareth Edwards a whopping 14 takes via email (Hold on for some serious levels of adorable). Then, Jimmy Fallon had Riz Ahmed play the Wheel of Freestyle, in which a random word generator provides three words. Then, the guest in question has to work those words into a rap. Since Ahmed is part of the Star Wars family, all of the words related to the franchise. Ahmed has a long history as a rapper, so this was a piece of cake, right? Well, sort of – the generator gave him “Yoda,” “Darth Vader,” and “Lando Calrissian.” Obviously, the first couple are relatively easy to rhyme. The third, however, is a challenge. Though he seemed somewhat daunted, Ahmed took the words in stride and performed a pretty fantastic rap. It’s a bit PG-13, and is accompanied by a great beat from The Roots. Ahmed ended the rap with, “Star Wars fans, hope you’re all listening/we won’t let you down like Land0 Calrissian.” Though he stumbled on the name a bit, he managed to find a killer way to work it in. Plus, he gave a nod to all the fans who can’t wait to see the film.